Although we have a long-term plan for the term, our planning is very much child led. 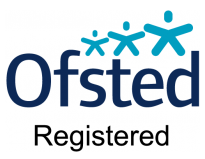 We use the EYFS as a guideline and this is reviewed on daily basis by the room leaders. Planning takes place every morning after circle time. Activities for each day are based on the feedback from all staff during their work with the children, especially their own key children. These information is transferred onto the planning sheets for the following week. Activities planned are very flexible and can always be altered as children’s interests change during the course of a day/week.